We would like to take this opportunity to thank our subscribers for staying long with Tech At Hand. We are proud to announced that we have reached 5,000 subscribers as shown in the screen capture below. What is the Benefits of Having More Readers ? People who have subscribed to a feeds will definitely see the post every time post has been published, specially when they are subscribed via e-mail, It is a link that a blog stay connected to the readers. As for me I am keeping track of what is happening Pinoy blogosphere through RSS Readers, and when I see an interesting post I make sure that I comment on their blog. Having more subscribers will definitely have better chance of gaining inks that might help in the SERP (Search Engine Ranking Page). 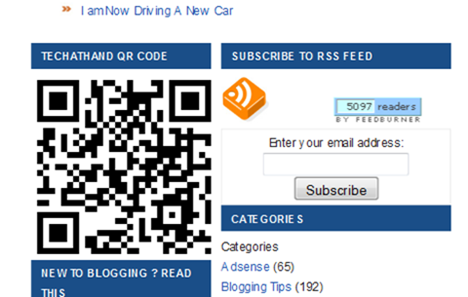 RSS subscribers may not be as active as before, but definitely RSS feeds will definitely stay a blog attached to it’s reader for a long time. RSS feeds may not be popular as before, but I believe, it is still important in having one, specially if you want to market your blog. For me, numbers of subscribers is giving self satisfaction. I love to see more and more people is becoming interested in reading my blog thru my feeds. If you read this in feeds you might want to say hello through our comments section.Again thanks to everyone. For those who are not yet subscribed, you can subscribe though this Link or by just entering your email in the forms provided at the side.